This week on our ‘Green Fingers’ journey we learnt about the term ‘food miles’. We looked at where our food comes from and researched the number of miles certain foods had travelled to get to us here in the U.K. In English we created some very persuasive formal letters based on our book The Tin Forest. We learnt that the word ‘refuse’ has two very different meanings. In Maths the children put their knowledge of fractions to use in solving some pictorial and word problems. We have come to the end of the Holy Week story and reflected on the widely contrasting emotions the people felt on Good Friday and then on Easter Sunday when Jesus had risen and appeared to his friends. Year group trip to Ashdown Forest May 9th. Next term, term 5, 3L will be swimming but not 3B, who will be having an extra P.E. lesson instead. P.E. and swimming kits will be needed on the first day back which is a Tuesday. Please do sign up at reception to be a parent helper for the swimming afternoon, we value your help and without it swimming would not be able to take place. We will not be doing Forest School next term. Please ensure that your child brings their contact book and a water bottle to school every day. Just a reminder that the children do not need to bring in any stationary equipment of their own, and can all items of clothing be clearly marked. No Spellings and Home Learning over the holiday. We wish you all a relaxing Easter break. This week on our ‘Green Fingers’ journey we learnt about how plants disperse their seeds and took a look at our germination experiment. We learnt that plants need water, light and warmth in order to grow. In English we were comparing informal and formal letters and had fun experimenting with different persuasive language techniques. In Maths this week the children have been using arrays as a tool to help them find fractions of amounts. 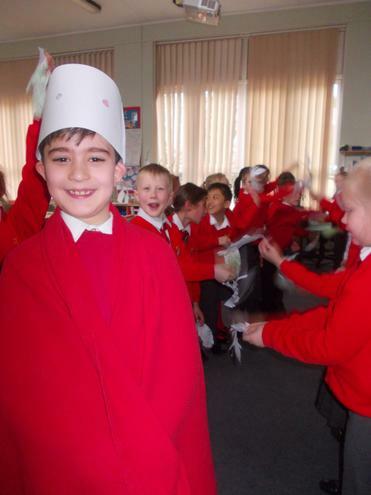 In RE we have been following the Holy Week story. This week we learnt about Good Friday and created a ‘gulf’ using 2 ropes which the children had to cross. We connected this to what Christians believe Jesus did for us on the cross when his dying for us became like a ‘bridge’ to connect us back to God. Next term, term 5, 3L will be swimming but not 3B, who will be having an extra P.E. lesson instead. Spellings this week are words with the ‘ly’ and ‘tion’ endings. This week on our ‘Green Fingers’ journey we found the answer to our question, ‘Is water transported around a plant through it’s stem?’ We saw that the veins of the celery were red, showing us that it had taken up the coloured water through it’s stem. 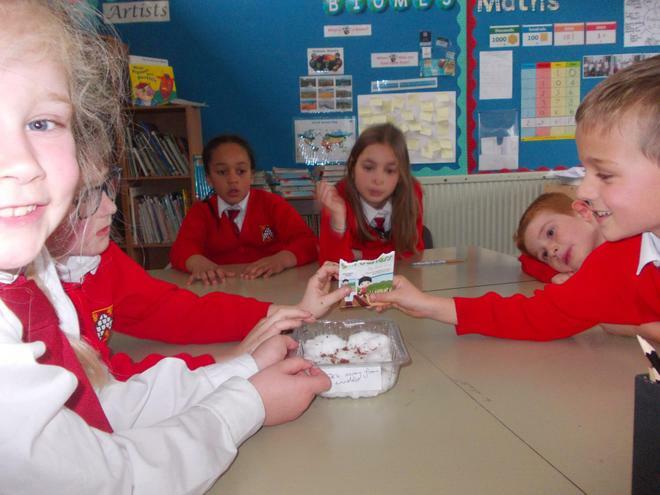 We also planted cress seeds and placed them in different conditions to see how well they grow in each place. The children have explored the book ‘The Tin Forest’ and predicted what they thought it might be about. They delved into the character of the ‘old man’ by imagining what he might, think and feel. In Maths this week the children have been adding fractions with the same denominator and been finding equivalent fractions. This term swimming has resumed for 3B but not for 3L who will be doing P.E. instead. We are also doing Forest School this term on Thursdays. Please refer to the letter which was sent to you. Spellings this week are words with the ‘k’ sound spelt ‘ch’ and suffix words. This week on our ‘Green Fingers’ journey we measured our plants as part of our enquiry into ‘whether plants need leaves in order to grow’. In 3B the plant with leaves has grown 10 cm taller than the plant without leaves! The children have been finishing drafting and editing their stories based on the book ‘Where The Wild Things Are’. Next week they will write their published versions. In Maths this week the children have made their own fraction wall in order to help them understand about equivalent fractions. Spellings this week are some of the year 3 statutory words, as well as words which the children are commonly misspelling. This week on our ‘Green Fingers’ journey we have been thinking about the functions of leaves in plants. We have set up a scientific experiment to find out if leaves help plants to grow. The children have written ideas for their own fantasy story which they are going to draft and write next week. In Maths this week the children have been folding and shading paper to help them understand various fractions of shapes. They have then been finding fractions of amounts and starting to see the equivalence between certain fractions. The children acting out the Palm Sunday story during our RE lesson this week..
Spellings this week are words relating to our topic this term. We have embarked on our new Learning Journey ‘Green Fingers’. 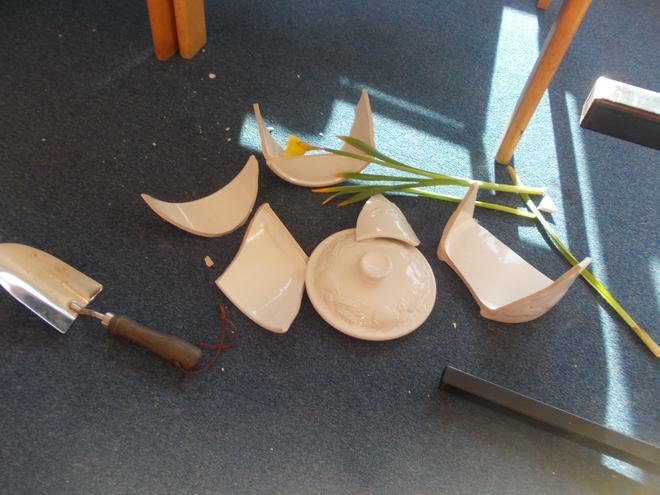 We started the week with a ‘plant crime scene’ where the children became detectives. We have started to look at the functions of the different parts of a plant, starting with thinking about the roots. Later on we will be learning about Biomes and thinking about where our food comes from. 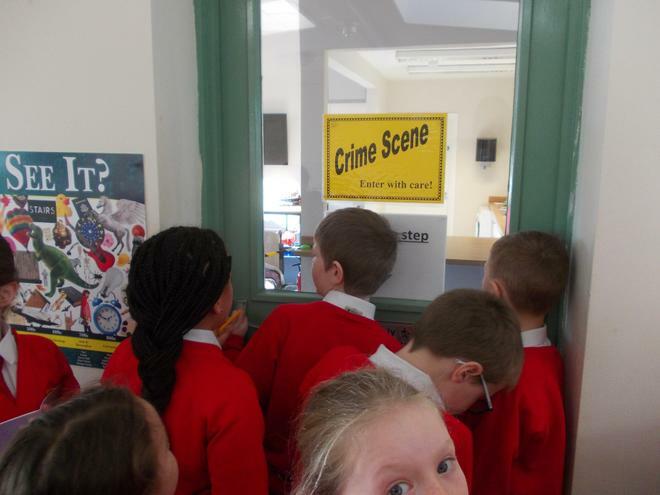 The children became crime scene reporters, taking notes and using their imagination to think about who could possibly have committed the crime and what could have been their motive? We have started using the book ‘Where The Wild Things Are’ as a model in order to write our own fantasy stories. In maths we have started our new topic which is fractions. The children have used cubes and pictorial representations to help them understand the concept, and they have been able to link it to their knowledge of division. Parents Evenings will be held next week due to the Ofsted Inspection. Spellings this week are individual lists collated from words which have been corrected in the children’s English books. The children have been finding out about climate zones and have enjoyed looking at atlases and maps. 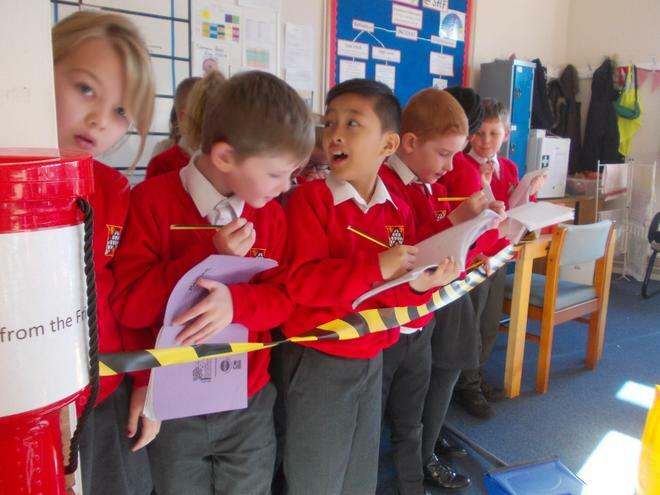 They have been finding out about the weather at the equator and the North and South Poles. This week we have been learning how to take notes and research information in preparation for making an information fact sheet. In maths we have been practicing doubling and halving numbers to 100. The children have been playing a ‘chain’ game, see if they can explain it to you. 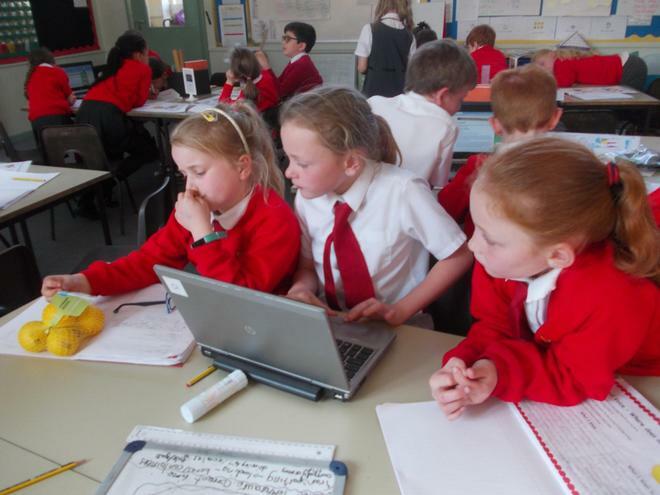 We hope that your children enjoyed Internet Safety Day on Tuesday. Parents Evenings are next term on Tuesday and Thursday of the first week back. Next term swimming will resume for 3B and not for 3L who will be doing P.E. instead. Spellings this week include the prefixes ‘auto’ and ‘super’. Finally we would like to say how very proud we were of the children for how they presented the Church Worship on Wednesday. 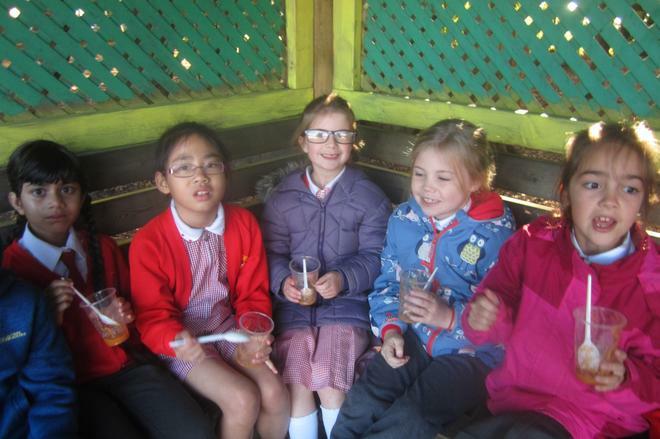 The children have been finding out some interesting facts about the natural resources of deserts. This week we have been working in detail on our stories. We have been re-reading them to check that they make sense and that we have included all the different parts. We have been editing them for punctuation and grammar choices. In maths we have been getting to grips with the inverse division calculations to multiplication facts. The children have been practicing calculations with remainders. We are leading the whole school Worship at All Saints Church on Wednesday 6th February 8.45am – please put this date in your diary! We are doing Hockey this term, so please can your child have suitable footwear, (trainers or plimsolls), and have in their P.E. bag warm jogging bottoms/leggings for when we go outside. Spellings this week will focus on words with the ‘sh’ sound spelt ‘ch’ ‘ss’ ‘s’ ‘ci’ i.e. ‘chef’, ‘mission’, ‘sugar’, ‘sure’, ‘special’, ‘shop’. Thank you to all parents who have brought their children to school earlier for their morning groups. You will already have received a letter if your child has been invited to one of these groups. The children have been looking at maps and atlases to pinpoint the location of deserts in the world. We have been learning how to make our story writing irresistible by using powerful verbs, adjectives and similes. We have also been thinking about the structure of our stories. In maths we have been using our times table facts to work out multiplication and division problems. Our exciting topic this term is ‘Fantastic Forces’ and this week the children conducted their first group scientific experiment. Our question: Which surface do you think the car will move the furthest? 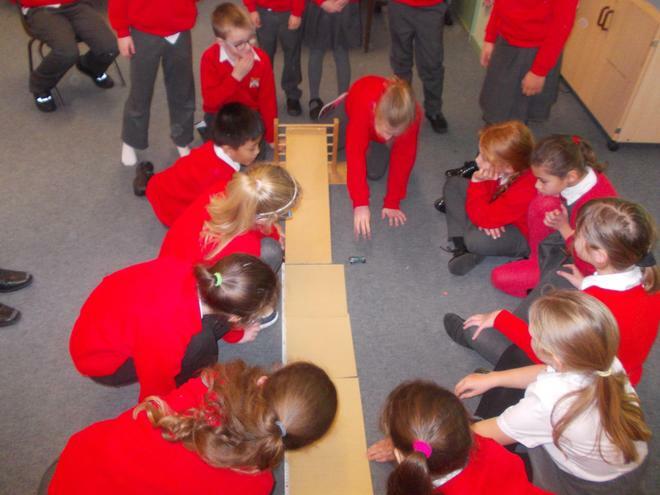 The children placed a toy car on a ramp which they let go to run over various different surface types. They were able to explore how different surfaces produced different amounts of friction when the car wheels touched them, and then think about why that might be. Spellings this week focus on the apostrophe for contraction. Welcome back and we hope that you have had a lovely Christmas. Our sports activity this term is outdoor hockey so please include a pair of warm jogging bottoms or leggings for your child to wear during our PE lessons which are on Wednesday afternoons. We are now alternating between classes for swimming each term, therefore this term 3B will not be swimming and 3L will swim, as before on Tuesday afternoons. 3B will have a PE lesson instead and will have their swimming lessons next term. Please make sure that children have warm outdoor wear and that coats, hats, gloves, scarves, shoes, lunchboxes, water bottles and PE kits are clearly named. If they are not named we cannot guarantee that lost items will make their way back to you! Our Maths focus this term is multiplication and so it would be helpful to encourage the learning of times tables at home. Questioning your child on the way to school, while getting ready for bed or any other window of opportunity would be great. Short, sharp, random times tables questions at regular intervals really do build the retentive knowledge which is absolutely necessary for success in Maths. We are encouraging children to make sure that they are choosing a range of stories to read and not just sticking to the same favourite author. This way our children have the best opportunity to build their vocabulary and their own writing style. Our early morning learning groups will start the week beginning 7th January. You would have received a letter if your child was invited. Thank you again for your continued support and we look forward to another amazing term! This week the children made their moving Christmas decoration and came up with some extremely creative ideas when decorating it. We have been practicing our performance poem in order to perform it to the Year 2 children next week. 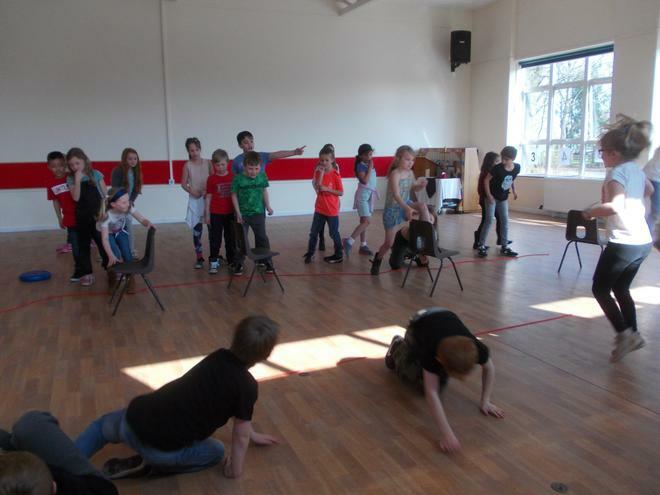 We have some budding thespians in our midst! The children enjoyed watching Tony Mitten perform poems which he has written. In maths we have continued to practice using bar modelling when working out addition and subtraction problems. There are no spellings this week due to the fast approaching Christmas holiday. We are starting early morning learning groups in January, please be aware that your child may come home with a letter regarding this. Thank you to all who attended our school Carol Service, it was a wonderful evening. We would like to thank parents and carers for their support over the last 2 terms and wish all of our children and families a very happy Christmas and successful New Year! This week the children decided which moving Christmas decoration they would like to create and produced a design sheet. Next week we will have fun making it! Please don’t forget to bring in any items to enhance your design. We have started our performance poetry and enjoyed watching some famous authors perform their poems. The children have started to think about how they could perform ‘The Boneyard Rap’. In maths we have moved on to learning about how to use bar modelling as an aid when working out addition problems. Next week we will move on to using this pictorial method to help solve subtractions problems also. Christmas Carol Concert at All Saint’s Church starting at 6pm. It would be lovely to see as many children and parents there as possible. The Year 3 children will be performing a special carol. Spellings this week are words ending in ‘gue’ and ‘que’ as well as other words which the children are spelling incorrectly. As part of our topic ‘Let’s Move’ we started to look at links and levers and learnt what the word ‘pivot’ means. The children had great fun making their own mechanisms. This week we wrote our finished piece describing a pirate and we saw some fabulous writing, some at great length! Next week we are starting to look at performance poetry and will be thinking about what makes a successful performance. In maths we have moved on to learning about how to use the number line to help us solve problems. We will continue with this next week as well as consolidate other methods. We are very lucky to be having a group of students from Beacon Academy coming in to lead a dance work shop for us. Spellings this week are from the year 3 word list as well as others which are often being spelt incorrectly. This week we have moved on to finding out about our muscles and how they help us to move. The children were fascinated by some of the facts they found out, for instance you use 17 muscles every time you smile and 43 when you frown. This week we moved on to describe a pirate character for our setting. Great fun was had trying to think and act what our pirate would be like. Next week we will be writing our finished piece. This week we have been consolidating our addition and subtraction methods using the column method. We will now start our number line work next week. Don’t forget about planting saplings on our school field on the morning of Saturday 24th November. All members of the family are welcome to join our school community as we transform our lovely outdoor space. The trees will add to the beauty and, as they grow, provide much needed shelter from the sun. Spellings this week are words which have the “I” sound spelt with a y. This week we pretended to be archaeologists and looked for animal skeletons in sand! We then had to identify the animal and name some of the bones. The children thoroughly enjoyed this. Still using the book A Dark and Stormy Night by Janet and Allan Ahlberg we have described a cave setting using powerful adjectives. We were really pleased with the level of language the children were using. This week we have continued looking at column subtraction, using 3 digit numbers, and moved on to taking a 3 digit number away from 100s e.g. 200 – 156 having to regroup 1s, 10s, and 100s. Next week we will be learning to locate and place 3 digit numbers on a number line. And don’t forget about planting saplings on our school field on the morning of Saturday 24th November. All members of the family are welcome to join our school community as we transform our lovely outdoor space. The trees will add to the beauty and, as they grow, provide much needed shelter from the sun. Spellings this week are prefixes re and mis revising the spelling input from last week. We have been continuing to look at our skeleton and trying to locate and name different bones in our body. We will be moving on to look at how muscles and joints help us to move. We have started looking at different story settings focusing on the book A Dark and Stormy Night by Janet and Allan Ahlberg .We have been using all our senses to try and describe a setting we drew with a partner. This week we have been looking at column subtraction, using 3 digit numbers, where we have had to regroup the ones, tens and hundreds. We have been using a variety of apparatus to help us with this including place value cards, straws and base 10 equipment. You are invited to come and join us to plant saplings on our school field on the morning of Saturday 24th November. All members of the family are welcome to join our school community as we transform our lovely outdoor space. The trees will add to the beauty and, as they grow, provide much needed shelter from the sun. Spellings this week are homophones revising the spelling input from last week. We have started our new learning journey ‘Let’s Move’ and started to think about skeletons, bones and muscles. We had fun drawing around our bodies and writing the names of as many bones and muscles we could remember, trying to put them in the correct place! Thank you to those of you who have brought items to show connected to our ‘linkages and levers’ theme. We will share them with the classes as our learning progresses. This week we wrote our finished piece of instructional writing. Next week we will start to look at creating imaginative settings. This week we have been cementing our knowledge of column addition and making sure we understand about regrouping and exchanging numbers where necessary. Next week we will move on to subtraction. 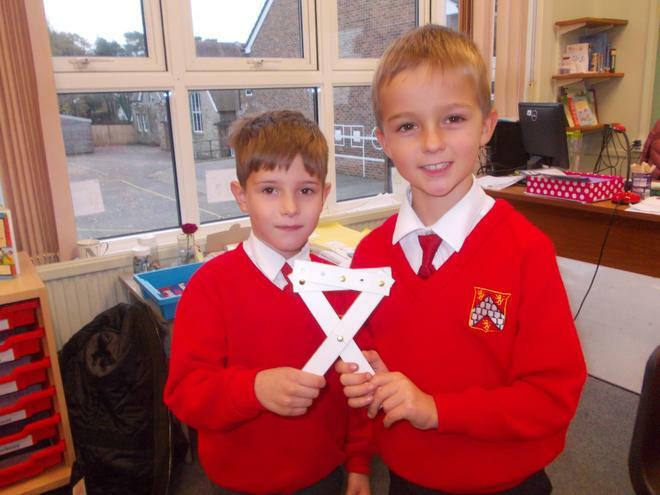 Spellings this week are linked to our learning journey theme. We were able to celebrate the end of our Learning Journey through having our very own ‘Sukkot’ outside and we ate our soup together. The Warburton’s Workshop was a really fun and informative way to bring our learning about nutrition to a close. Our learning journey next term is called ‘Let’s Move’ and we will looking at skeletons, bones and muscles which will link with DT where will be learning about levers and linkages. This week we continued to think about the features of an instructional text. Next term we will be looking at performance poetry. This week we have been looking at column addition and subtraction using 3 digit numbers and this will continue after half term. The children enjoyed creating a healthy soup and practiced their cutting skills through chopping the vegetables and finding out about the different methods of cooking food. Please ensure that your child brings their contact book and a water bottle to school every day. Just a reminder that the children do not need to bring in any stationary equipment of their own. Just a reminder, can all items of clothing be clearly marked. There are no spellings to learn over the holiday and home learning will commence on the first week back. This term we are learning about Food Glorious Food. 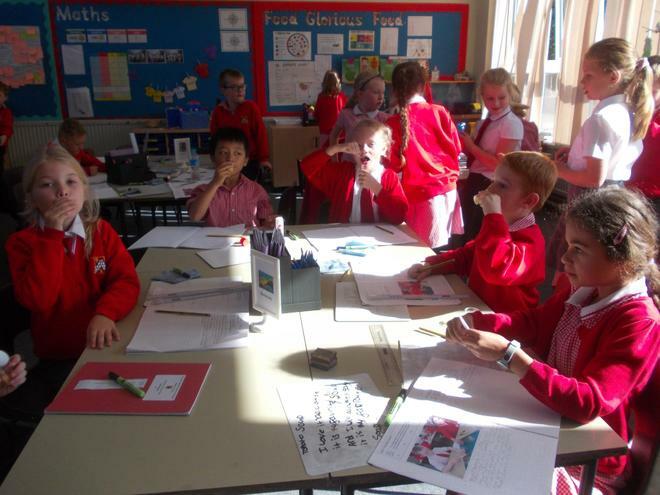 This week we have been tasting soups and looking for our favourite and deciding which was the healthiest. The children thoroughly enjoyed the experience. This week we started looking at writing at instructional writing and began to do this verbally by giving instructions on how to take off a jumper. This week we have begun looking at column addition using 3 digit numbers. Next week we will be making our own healthy vegetable soup which we will then eat outside during our Sukkot celebration. See weekly sheet in contact book. This term we are learning about Food Glorious Food. This week we have been investigating soup labels in preparation for making a healthy soup at the end of term. This week we completed our shape poems and shared them with each other. Next week we will be starting to look at instructional writing. This week we have continued learning about place value and ordering 3 digit numbers using arrow cards and place value grids. Please ensure that your child brings their contact book and a water bottle to school every day. Just a reminder that the children do not need to bring in any stationary equipment of their own. This term we are learning about Food Glorious Food and have made some amazing model cakes. We have been thinking about healthy eating and learning how to read food labels. Perhaps you could look at and discuss food labels at home. At the end of term we will be making a nutritious soup. This week we have been learning about shape poems. Next week we will be starting to look at instructional writing. This week we have been learning about place value and ordering 3 digit numbers and we will be continuing this next week. This week we have been learning about the traffic light system on food labels. Next week we will be looking at different soups and how they are marketed, in particular looking at the words companies use to sell them. Please ensure that your child brings their contact book to school every day.